Associate director of Development, Beau Kelly, was recently recognized as the UCCS recipient for the CU Foundation’s McCord Excellence in Fundraising Award. The foundation is partnered with the university in order to improve fundraising efforts for the CU system. It is an organization made up of both community leaders and CU alumni and is responsible for more than $2 billion in assets for the University of Colorado. Kelly was nominated by Executive Director of University Development Melinda Hagemann. “Our work is very collaborative, and he brings that team spirit of working with others to find some pretty powerful solutions,” said Hagemann. Kelly has worked with UCCS for nearly 4 years. In 2015, he began as assistant director and was recently promoted to associate director in 2017. “I have worked with Beau since he started here at UCCS in an externship, we hired him permanently maybe three months later,” said Hagemann. In his position, Beau builds support for UCCS Athletics, the School of Public Affairs and the Reach Your Peak Scholarship program. Kelly focuses on raising funds for both athletic and financial assistance need-based scholarships. “I work closely with our athletics programs and the Reach Your Peak scholarship program. The development office works to provide scholarship support for both areas, and I have helped raise money for the new baseball and indoor track facilities,” said Kelly. “He was really nominated for this award because of his infectious ability to inspire donors and to work within the community to raise awareness and support for UCCS. He has a great entrepreneurial spirit, vision and just a great sense of resourcefulness to accomplish whatever is in front of him,” said Hagemann. 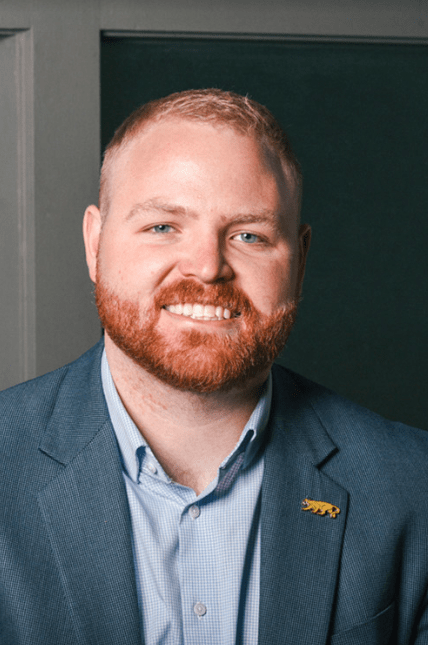 Kelly was also recognized as a Rising Star by the Colorado Springs Business Journal in 2018 for his efforts in fundraising at UCCS. Kelly was presented with the McCord Excellence in Fundraising Award at the CU Foundation’s annual holiday event on Dec. 11. Looking forward, the Office of Development hopes to continue its support for students with financial struggle. “Our office is focused increasing the amount of scholarship support for students. We want to engage our alumni and community to reduce the number of students who go without financial aid,” said Kelly. Kelly encourages students to express gratitude for their scholarships to donors as it helps helps expand the programs. The CU Foundation was first established 52 years ago. According to a Communique article, the award is named after the Charles McCord who ran the CU Foundation for twenty years. An advancement professional from each campus and the central advancement office received awards. Kelly was among five other recipients including Liz Adler, Nickolas Chabot-Olson, Shannon McBratney, Trisha Mckean, Mike Provine and Nicole Rodriguez.